William Stolzenburg’s Where the Wild Things Were was one of my favorite non-fiction reads in recent years, and Stolzenburg became an instant favorite author. I was really excited when I heard he’d published a new book and checked it out immediately. 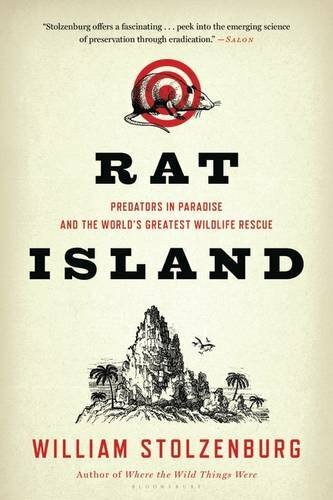 Like Where the Wild Things Were, Rat Island: Predators in Paradise and the World’s Greatest Wildlife Rescue was extremely well-written, absorbing, and eye-opening. However, I’m not going to downplay it: it is also an absolutely gut-wrenching litany of destruction. There were several points where I had to put the book down for awhile, because I just couldn’t take it anymore. So much senseless slaughter, so many unique and fascinating species lost forever. 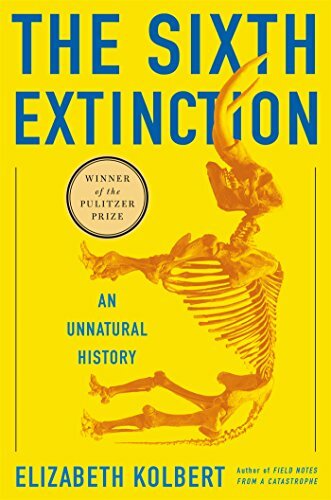 It’s a fascinating read and I highly recommend it for anyone interested in wildlife conservation, ecology, or natural history. It also makes a good companion read for Quamman’s The Song of the Dodo: Island Biogeography in an Age of Extinction. 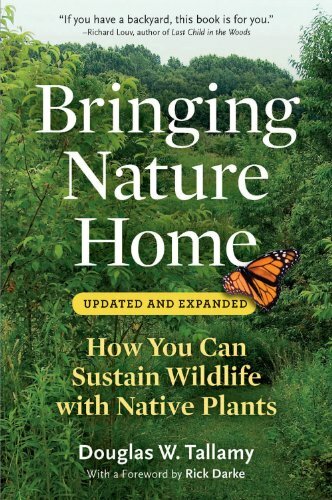 After attending a very enjoyable lecture by Dr. Douglas W. Tallamy, a professor of Entomology and Wildlife Ecology at the University of Delaware, I immediately bought his book, Bringing Nature Home: How You Can Sustain Wildlife With Native Plants. 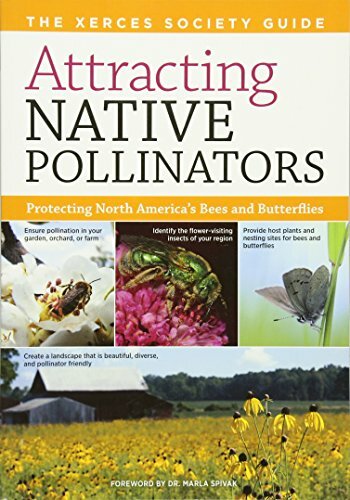 I am not sure that I could credit Dr. Tallamy or his book with any genuinely new ideas, but what he has done is provided an extraordinarily readable, thorough, and convincing synthesis of a number of principles that natural and wildlife gardeners have promoted for years. Bringing Nature Home is a must read for anyone serious about attracting backyard wildlife. Dr. Tallamy writes passionately of the importance of sustaining biodiversity in the United States and around the world. 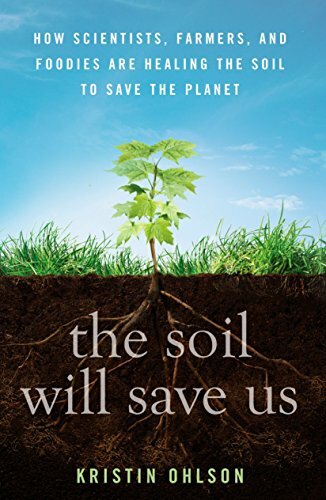 After a rather grim and depressing outline of the many extinct and imperiled plant and animal species we have lost to development and other factors, Dr. Tallamy points out that there is still much room for hope, and it lies primarily in the hands of gardeners. 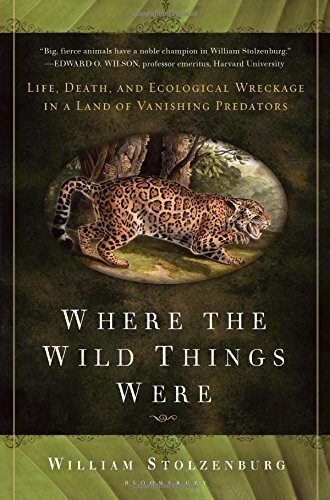 Veteran science writer William Stolzenburg’s first book Where the Wild Things Were: Life, Death, and Ecological Wreckage in a Land of Vanishing Predators is a passionate call for large predator conservation. Stolzenburg’s enthusiasm for his topic is infectious, and aided by a talent for clearly explaining the complicated relations between predator and prey. The book begins with a short disclosure of the author’s biases, then launches into a history of scientific research into the ecological effects of the predator-prey relationship, in the course of which Stolzenburg delivers an extremely convincing case that predators are not only part of biodiversity, but actually necessary to maintaining it. Despite being fascinated by the topic and partial to the author (who’s one of the best science writers working today, in my opinion), it took me years to actually sit down and read The Song of the Dodo because it’s well over 600 pages (not counting footnotes) – dauntingly long for a mom of young kids. However, I finally managed it! Quamman is able to successfully make the sometimes quite technical subject of island biogeography both accessible and fascinating. The study of island biogeography – which is essentially studying what lives where, and why, with particular attention to islands – has been critical to developing our understanding of the processes of both evolution and extinction. 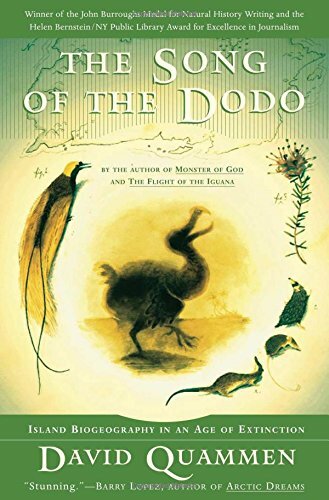 The Song of the Dodo includes a long and fascinating account of the early history of evolutionary science, with a focus on the life and travels of Alfred Russel Wallace. Wallace is famous to most people as the guy who came up with the idea of natural selection independently of Darwin and almost got credit for it, but he played a larger role than Darwin in the early development of the study of island biogeography. Island biogeography is important to evolutionary science not only because of the incredible profusion of unique and bizarre creatures on the world’s remote islands, but also because it was the study of patterns of distribution of island flora and fauna that demonstrated most plainly to Darwin, Wallace, and other evolutionary biologists both past and present that if God had a hand in evolution (as the theory of special creation, the dominant theory in Darwin’s time, assumed He did), He followed some very strict rules in determining the distribution of island species… rules that just happened to be indistinguishable from what you would expect to find from a close study of the dispersion ability of different species. For example, islands tend to have a lot of birds, which can fly or be blown across stretches of open ocean, but few amphibians, whose moist skin makes them sensitive to saltwater and incapable of surviving extended ocean voyages. Many of the most remote volcanic islands, such as Hawaii or the Galapagos, have no native amphibians at all. Observations like these led to Wallace’s deduction that “Every species has come into existence coincident both in space and time with a pre-existing closely allied species” – an insight which seems like simple common sense today, but which was a game-changing flash of genius at the time it was made. Quamman unfurls all these points with literary style and copious use of real world examples, collected in his extensive travels and interviews with working scientists on islands both literal and de facto. My only complaint about the book is his fondness for extended digressions. They are generally as fascinating as everything else (watching komodos, trying to find a thylacine, sharing the story of an extraordinary teenage naturalist from Madagascar and his work with lemurs), but it leads to a lot of hopping around in space and time, which lends the book a somewhat disorganized feel at times. I also wonder if, with a tighter narrative, there might have been more room for discussion of the practical applications of island biogeography, which didn’t get much attention in Quamman’s book. For example, wildlife managers use insights from island biogeographers about how to maintain viable populations in the face of human encroachment to develop conservation corridors that allow species to safely travel between isolated patches of habitat. Fortunately, corridors and other topics in practical conservation ecology are discussed at length in books such as Rewilding the World: Dispatches from the Conservation Revolution. My dad isn’t a Trekkie, but he is a Star Trek fan, and he tried to introduce my siblings and me to the series with slightly mixed success when we were kids. For example, we got sort of traumatized by the Ceti eel things in Star Trek II: The Wrath of Khan (I didn’t attempt to watch that film again until I was an adult), but we absolutely loved Star Trek IV: The Voyage Home. In fact, it became one of our favorite movies and we watched it many, many times as kids. It remains one of my favorite films to this day, and is definitely my favorite Star Trek movie. 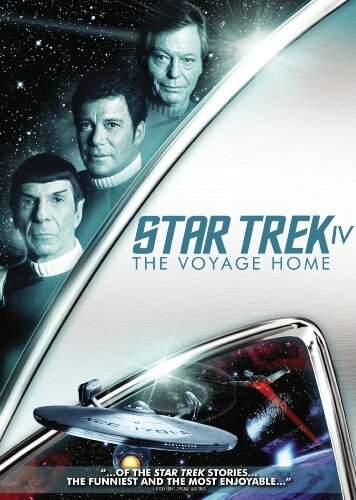 The Voyage Home is hilarious, highly quotable, and ultimately touching, as the crew of the Enterprise travels back in time to 1980’s San Francisco to bring back a pair of humpback whales in an attempt to repopulate the species (which has become extinct in the 23rd century). Also, I still kind of want to be Gillian Taylor.